So many people find “Islamophobia” just too wimpy a term for such an aggressive & pervasive malignancy. That’s especially evident after Christchurch. According to one history source, it was coined in the late 1970s by Iranian fundamentalists to form an analogy to “xenophobia.” We don’t have to be stuck with the term, especially if we think it too weak to describe everything from the so-called ‘war on terror’ to genocide & massacres. We can damn well find our own term that suitably encapsulates the hatred & violence of Islamophobia. Do any of your have any better ideas? Since I have over 500 pending friend requests, I’m doing some weeding & trimming. It’s not an issue if you don’t go hog-wild liking up my posts but if I detect any sense of snobbery or superiority, you’re toast. I’m nothing if not an egalitarian & as a working class girl am super-sensitive about elitism. If I bounce you through misjudgment, let me know. I’m touchy but I’m reasonable. Intensified Syrian & Russian bombing of Idlib killed more than 150 people this week, including 53 children. Thousands of civilians were forced to flee their homes as Syrian & Russian bombers pummeled dozens of sites. There is not yet a report on the numbers of those injured. Nor have Assad officials identified which terrorist groups those killed & injured children & civilians belonged to. The international antiwar movement is demobilized in support of bombing civilians because of its new gospel against “regime change operations.” It is the sanctity of the regime that matters, not the democratic rights of Syrian protesters. 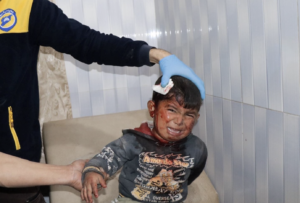 This little guy was hit by Russian missiles that struck near IDP tents in Kafr Amim village, Idlib. Stop the bombing of civilians! All foreign military forces out of Syria! 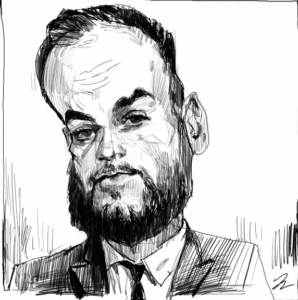 Brendan O’Neill is a British so-called journalist who typifies the metamorphosis from crazy-pants socialism to libertarianism to fascism–a trajectory come to full fruition in socialist alliances with fascists to support Assad, Maduro, & Iran’s Rouhani despite massive public protests against them. O’Neill became notorious after a 2012 article urging victims of sexual abuse by celebrities to clam up & move on without seeking justice, for opposing campaigns against racism as “poisonous” attempts to police the working class & for other such depraved political views, most especially denial of the Bosnian genocide against Muslims. He writes for the notoriously Islamophobic Spiked Online which publishes his rubbish & rants only because he edits & owns the damn thing. 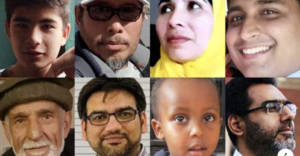 Now our man weighs in on the Christchurch massacre in an article titled “New Zealand: the barbarism of identity politics,” claiming, despite the assassin’s own words, that it is not white supremacy or Muslim-hating that led to the massacre but identity politics–“the cultural fragmentation & racial paranoia unleashed by the relentless rise of identitarianism.” This singularly bizarre obsession with & opposition to identity politics is entirely rightwing although its most vociferous opponents call themselves socialists. Its proponents claim to stand for unity of the working class but their sole motivation is to sabotage efforts by the oppressed to defend themselves against violence & discrimination. Violence against Muslims, women, Blacks, Dalits, Latinos, refugees is at tsunamic levels all over this globe & is solely based on their identities. If you don’t understand that, don’t call yourself a socialist because your politics are libertarian. But mostly they are confused. If you don’t want to end up in alliance with Brendan O’Neill, reconsider your confusions before they disgrace you. Thank you Ilhan Omar for standing with the Syrian Arab Spring uprising as you stand with Palestinians. Today is the 51st anniversary of the My Lai massacre during the Vietnam War. It certainly wasn’t the first military massacre of civilians in US history, nor even the worst. Monstrosities on a colossal scale are the very nature of colonialism & war which characterize the last 500 years of human history, including the extermination of indigenous peoples in the Americas. What distinguished My Lai & made it a political turning point was the Vietnamese struggle against US military might & massive international opposition to US intervention. The Vietnamese anti-colonial struggle succeeded where others failed because it had a regular army combined with irregular forces experienced by 40 years of fighting French colonialism & because support for their struggle actively involved millions of people in every country. For a generation raised on the glorification of colonialism & war, descriptions of what happened at My Lai were a rude awakening to reality. The antiwar movement, along with the civil rights movement, emerged in the 1960s & broke the chokehold of the McCarthy witch-hunt which suppressed all political dissent in the US. The combination of antiwar & civil rights was a double-whammy to the colonial mentality. The US army in Vietnam was a conscription army with thousands of mostly young men forced to deploy against their wills. It became an antiwar army & Black & Latino soldiers played no small part in making it so. When My Lai happened in 1968, it took over a year for three soldiers who tried to expose the massacre to be heard. Seymour Hersh, then a reporter for the NY Times, is attributed with breaking the story of My Lai & toured campuses speaking about it. But it was in fact helicopter crewmen Hugh Thompson, Glenn Andreotta, & Lawrence Colburn who intervened to save villagers, to expose the crime, & to get the soldiers involved prosecuted. Hersh gained fame while Thompson, Andreotta, & Colburn were vilified as traitors for nearly three decades. It might be added that in his campus lectures, antiwar activists had to rebuke Hersh for blaming My Lai solely on the psychological perversities of the lieutenant in charge & not criticizing the US government for deploying troops in Vietnam. My Lai remains an issue because there has never been justice for the over 500 unarmed Vietnamese men, women, & children who were raped, mutilated, tortured, & murdered. It didn’t just change consciousness about the character of war but it changed the way the US conducts war. Which is why the Pentagon works tirelessly for security agreements in Afghanistan & Iraq to give impunity to US soldiers for war & human rights crimes. 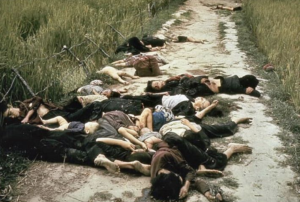 Photo is bodies of mostly women & children after My Lai massacre. One thing we’ve learned for sure from this monstrous crime at Christchurch: the term “Islamophobia” falls short. It makes hatred & criminality toward Muslims seem like a mild aversion rather than the wars, occupations, persecutions, massacres, genocides it represents. “This dastardly terrorist attack against Muslims is not a rarity or an aberration, it is unusual though that it comes from a non state actor. In the usual scheme of things, Muslims are victims of state terror directly, be it colonisation of Muslim lands for resources, unjust military occupations, ethnic cleansings or communal pogroms. The intense hatred and racism against Muslims, inadequately termed as islamophobia, is the most deadly pandemic of our times and is directly responsible for these atrocious acts. Even the majority of victims of nihilistic terror by the likes of ISIS and TTP are Muslims. Despite millions of Muslim lives lost to state and non state terror, the image one can conjure of a terrorist remains of a bearded Muslim man brandishing a gun, that is the power of a narrative peddled by the corrupt, complicit and hateful media all across the world. Thanks to the latter, this “event” will soon be forgotten, conveniently, without hashtags of global solidarity, candle light marches or social media safety badges, simply because Muslims are the other for the current global world order. But resistance to such globally rising fascist bigotry is also waged by Muslims, despite their many shortcomings and relative powerlessness, in many parts of the world and that too will not change anytime soon. Apparently condolences for massacres come cheap these days. Even Netanyahu chimed in on Christchurch, saying, “Israel mourns the wanton murder of innocent worshippers in Christchurch & condemns the brazen act of terror.” He said that yesterday while Israeli snipers were shooting down unarmed protesters, journalists, medics, children at the Great Return March in Gaza & during a week of airstrikes over Gaza. According to a UN agency, just in 2018 almost 300 Palestinians were killed & 29,000 were injured in the West Bank & Gaza by Israeli occupying forces & settlers. 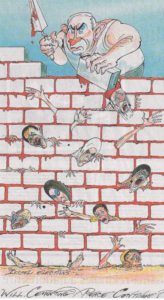 According to the Gaza health ministry, over 6,000 Palestinians have been injured by live ammo during the Great Return Marches, 14,000 people were hospitalized for injuries sustained during the protests & over 12,000 were treated at field clinics. When Modi, Netanyahu, Trump offer condolences for acts of terrorism against Muslims, sarcasm dies another thousand deaths. What’s next in this festival of sarcasm? Condolences from Assad, Suu Kyi, & Duterte? God save us.